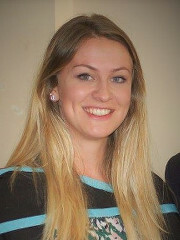 Holly is from Malmesbury in Wiltshire and completed her MChem at the University of Southampton. For her final year project she worked on small molecule synthesis using organozirconium chemistry, and during her third year completed a placement in analytical chemistry within manufacturing at GlaxoSmithKline in Worthing. 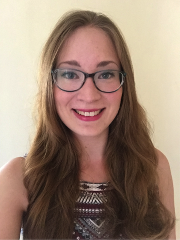 Holly’s interests in organic chemistry include cascade reactions, organometallics and structure-activity relationships involved in medicinal chemistry. Outside of the lab she enjoys looking after carnivorous plants, badminton and playing video games! Originally from the west of France, Benoit completed his Master's degree in Chemistry with a Biochemistry option at the National Graduate School of Chemistry of Montpellier. 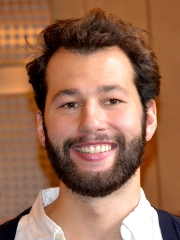 Benoit had the opportunity to undertake internships in peptide synthesis at F. Hoffmann–La Roche, Switzerland, and in fragment-based drug design with Prof Nicole Zitzmann at the University of Oxford. By joining the SBM CDT, he hopes to further his interests in medicinal chemistry, particularly applied to infectious diseases and cancer. Outside of the lab, Benoy enjoys hiking, baking cakes for lab meetings, watching TV series and playing video games. Antoine is originally from Marseille, France, and has recently completed his undergraduate Masters at the Université Pierre et Marie Curie and Chimie Paristech. After completing a five-month internship working on visible light-catalysed synthesis of tetrahydroisoquinoline scaffolds at CSIRO (Melbourne), the federal government agency for scientific research in Australia, Antoine completed his Master’s dissertation at F. Hoffmann-La Roche in Switzerland. Besides his interests in practical chemistry at the bench, Antoine is keen to develop his teaching experience to confirm his academic ambitions. Outside the lab, Antoine enjoys cycling, playing flute or brass instruments, and, as a good French, eating cheese accompanied by good red wine. Originally from Rome, Italy, Michele completed his MSci degree in Medicinal and Biological Chemistry at the University of Nottingham. As part of his degree, he spent one year on placement at Chiesi Farmaceutici in Parma, Italy, synthesizing new PI3K inhibitors to treat chronic obstructive pulmonary disease. During his final year Michele worked in Dr Liam Ball’s group developing nickel catalysts for use in an aromatic Finkelstein reaction. His research interests lie in novel catalytic reactions, especially using earth abundant transition metals. Outside of work Michele enjoys watching films, eating and travelling. Jonathan completed his MChem at Lincoln College, Oxford. In his final year he undertook a Part II project with Prof Darren Dixon synthesising novel bifunctional iminophosphorane organocatalysts and researching their reactions. He is particularly interested in asymmetric catalysis as well as total synthesis and hopes to work towards a career in academia or the pharmaceutical industry. Away from the fume hood Jonathan enjoys cricket, playing the guitar, going to gigs and drawing. Chris is from the Cotswolds and achieved his MChem degree at Oriel College, University of Oxford. During his Part II project, Chris worked on Prof Tim Donohoe’s group on Palladium-catalysed arylation of OBO protected pyruvates. He also spent the Summer of 2015 at Perm State University in Russia, developing methodology for the Cu-catalysed reaction of methylfuran with salicylaldehyde derivatives. At the end of his DPhil, he is hoping to either move into the pharmaceutical industry or stay in academia. Outside of the lab, he enjoys playing squash (and the odd bit of hockey), skiing, reading and baking. 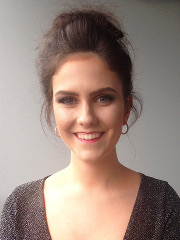 Lucy recently graduated with a First Class Honours MSci degree in Chemistry from Queen's University, Belfast. During the summer of 2014 she completed a summer project with Dr Kiril Tchabanenko at Queen's around dipolar cycloadditions. The following year she was the recipient of the RSC Undergraduate Research Bursary and completed a summer project under the supervision of Prof Alan Spivey at Imperial College, London, based on the asymmetric synthesis of phosphorothioate nucleotides using novel catalysis. Her Master’s project was completed in the research group of Prof Paul Stevenson working towards the total synthesis of Pancratistatin, using interesting sigmatropic rearrangements towards an important precursor. Her interests lie in combining the development of new synthetic methodologies towards the synthesis of new, interesting molecules. Outside of chemistry she enjoys travelling, horse riding and a good glass of wine (or two..). 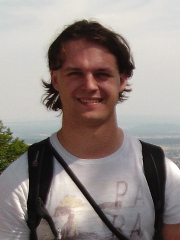 Originally from Gmunden, Austria, Oskar graduated from Graz University of Technology. For his Master’s thesis he visited the Ferrier Research Institute in Wellington, New Zealand, synthesizing enzyme inhibitors. For 6 months he worked at Hoffmann-La Roche in Basel, Switzerland, doing an industrial placement in small molecule process research. He is fascinated how highly complex structures can be built up by choosing elegant synthetic routes. In his spare time, Oskar is a dedicated sportsman: he sails, plays basketball and likes to spend his time in the mountains. 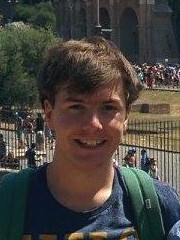 Ben is the recipient of a University of Oxford’s Clarendon Scholarship. Originally from Hampshire, Ben graduated from the University of Leeds with a first class MChem/BSc in Medicinal Chemistry. His Master’s research project, conducted under the supervision of Dr Visuvanathar Sridharan, explored the application of 1,3-dipolar cycloaddition reactions to the synthesis of anticancer agents. During his 12-month industrial placement at F. Hoffmann–La Roche in Switzerland, Ben worked on the discovery of novel antibiotics. 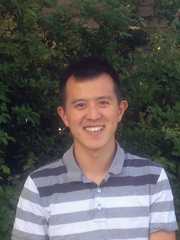 Ben’s research interests include transition metal catalysis, cascade reactions and total synthesis. In his leisure time Ben is a keen climber and cyclist. Originally from Enfield, North London, Rob graduated with an MChem in Medicinal and Biological Chemistry from the University of Edinburgh in 2016. During his undergraduate, he was lucky enough to spend a year in France under the supervision of Dr Nicolas Blanchard of the University of Strasbourg, working on new methods for the synthesis of pharmacologically relevant pyridine derivatives. For his final year project, he was able to further his experience of synthetic organic chemistry as part of the group of Prof Guy Lloyd-Jones, researching the use of gold-catalysed C-H arylation as a means of modifying BINOL phosphoric acids. His main interests lie in investigating the chemistry of living systems, particularly with regards to the pathology and treatment of diseases. Outside of chemistry, Rob is a keen sportsman (concentrating mainly on rugby), tries his hand at the guitar, and enjoys cooking, although his friends tell him he should stick to rugby. Jessica is originally from Wolverhampton, and graduated in 2016 with a First Class MChem from the University of Oxford. 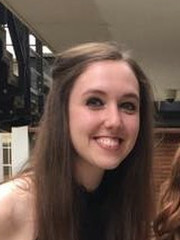 Jessica was an undergraduate at St John's College and completed her Part II project in the Russell group, synthesising photoaffinity and pulldown probes for chemical proteomics-based target identification studies for use in treatment of Duchenne Muscular Dystrophy. Academic interests include total synthesis and exploration into new synthetic methods. In her free time, Jessica enjoys swimming, walking and baking. Loane is from France and completed her Master’s degree in Medicinal and Biological Chemistry at the University of Edinburgh in 2015. She spent a year as an ERASMUS student at the University of Alicante working under Prof Carmen Nàjera Domingo on asymmetric synthesis of α,β-diamino acids. For her Master’s project she worked under Prof Paul Barlow on peptide synthesis and use of NMR for peptide identification and binding studies. She looks forward to discovering more of the wonderful world of organic chemistry during her DPhil. In her spare time Loane enjoys reading, sculpturing, travelling and skiing. 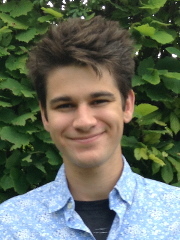 Tom is the recipient of a University of Oxford’s Clarendon Scholarship. 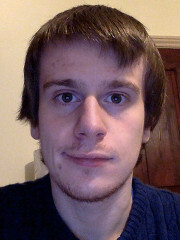 Born in Swansea, Tom completed his MChem in Chemistry at the University of York. For his Master’s year project, Tom worked on C2-arylation of tryptophan and derivatives mediated by Palladium. Tom was awarded the Whinfield Medal for the best overall performance by an MChem student on completion of his course. Owen completed his undergraduate degree at Lady Margaret Hall, Oxford. 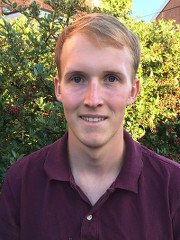 After summer research projects at KIT and Univeristät Ulm in organocatalysis and polyoxometalates respectively, he completed his Part II research project under the supervision of Prof Martin Smith on the methodological lacuna of asymmetric C acylation. His research interests centre on new synthetic methods and their application to biologically relevant molecules. When not in the lab, hiking or doing water sports, Owen can often be found putting Chemistry to good use through cooking, baking and amateur winemaking. Richard is the recipient of the Oxford-Radcliffe SBM CDT Scholarship 2016. 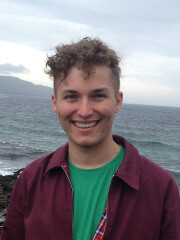 Originally from the Causeway Coast of Northern Ireland, Richard studied for his MSci degree in Chemistry at the Queen’s University of Belfast. Under the supervision of Dr. Matthew Cook, Richard’s final year project was concerned with the construction of spiroketal synthons using asymmetric organocatalysis. Richard has also completed an NSERC funded summer project at the University of Alberta, investigating the role of a modified lysine residue in cerexin lipopeptides. After graduating, he then travelled to Hong Kong for an IAESTE internship, where he designed glycoconjugates of Chinese medicinal products. Whilst at Oxford, Richard hopes to discover how synthetic chemistry can be used to control biological processes involved in the onset of disease. Richard’s spare time is largely spent playing volleyball, watching cult movies and eating pizza! Robert is the recipient of the Lady Margaret Hall-SBM CDT Graduate Scholarship 2016. 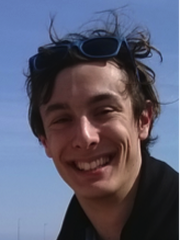 Robert graduated from the University of Southampton in 2015 with an MChem degree, having worked on the diastereoselective synthesis of fluorinated diols under the supervision of Prof Bruno Linclau for his masters research project. Following graduation, Robert continued to work in Prof Linclau’s lab for a further 5 months, preparing a series of fluorinated glucose and galactose derivatives. 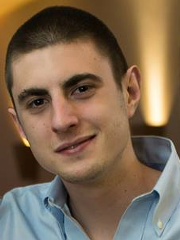 Robert’s research interests include methodology and total synthesis, especially when applicable to medicine. In his spare time Robert enjoys travelling, hiking, scuba diving, swimming in the sea, and going to the pub. Michael was born in Essex but raised in Hertfordshire, and completed his MChem degree at Keble College, Oxford. 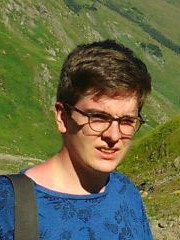 During his Part II year, Michael was supervised by Prof Michael Willis and collaborated with Prof Rob Paton, working on a project that attempted to determine the mechanism of Rhodium catalysed hydroacylation of sulphur tethered aldehydes, using a combined experimental and computational approach. 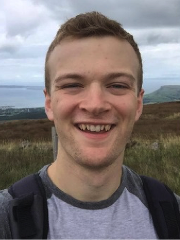 For his DPhil, Michael is looking forward to learning more about the mechanism of metal mediated processes as well as exploring new areas of chemistry. 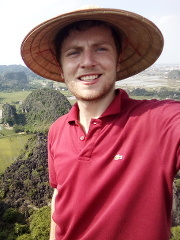 When not tinkering in the lab or calculating something on the computer, he enjoys talking too much and travelling the world; Michael is also excited to immerse himself in graduate life and taking up new hobbies. 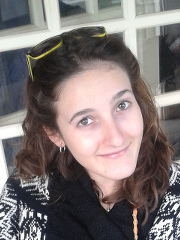 Lucy is the recipient of the Balliol-Devorguilla Scholarship 2016. Lucy is from Ireland and graduated with a First Class Honours degree in Chemistry from University College Dublin in 2016. During the final year of her undergraduate degree, she had the opportunity to work under the supervision of Prof.Pat Guiry. Her research focused on developing Pd-catalysed decarboxylative asymmetric protonation for sterically hindered alpha aryl lactones. Outside of organic chemistry, she has previously applied her chemical skills working with Intel in 2015 and with a multidisciplinary energy research group in 2013. When not working, Lucy loves to travel. She also enjoys playing the cello and the piano. Born in London, Jimmy completed his MChem degree with a year in industry at the University of Warwick. He spent his placement year at AstraZeneca, synthesising small drug molecules for the treatment of cancer. 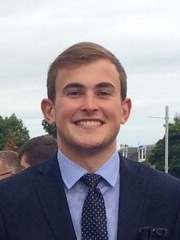 Before starting his DPhil at the University of Oxford, Jimmy returned to AstraZeneca for a summer placement where he worked on synthetic methodology projects. In his spare time Jimmy enjoys relaxing outside, socialising with friends, and listening to music. 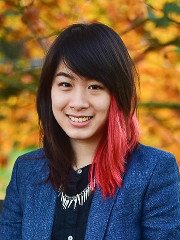 Marie is from Cameron Highlands, Malaysia, and completed her MChem degree at the University of Oxford. Her Part II project, supervised by Prof Ed Anderson, investigated the design of novel phosphoramidite ligands for asymmetric cycloisomerizations. Marie has also worked with Prof John Hartwig at UC Berkeley on palladium-catalysed arylation reactions and with Prof Scott Miller at Yale University to develop peptide-based catalysts for the Baeyer-Villiger oxidation. When not in the lab, Marie enjoys traveling, photography and music.